You might be the best bowler in the world, but are you the best bowler in the Galaxy? 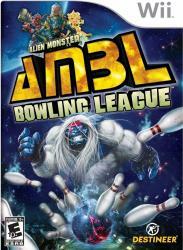 Compete against humans, aliens and monsters in this interstellar twist on league bowling. It takes more than a good hook shot to compete in the Alien Monster Bowling League. Power moves, special balls and Whammies bring a whole new dimension to the lanes for a bowling experience that is out of this world!